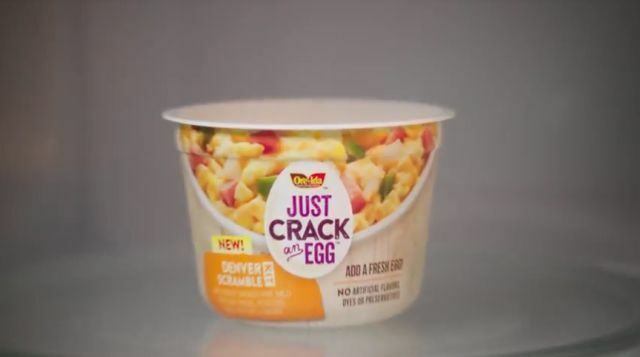 Kraft Heinz Looks to Give Microwave Scrambled Eggs a Lift with New "Just Crack an Egg"
Kraft Heinz aims to gussy up your microwave scrambled eggs in a convenient manner with the launch of "Just Crack an Egg." The microwavable cups includes a combination of diced vegetables, Oscar Mayer breakfast meat, Kraft shredded cheese, and Ore-Ida potatoes that you simply crack an egg into, stir, and microwave. - Denver - Ham, mild cheddar cheese, onions, green peppers and diced potatoes. - All American - Uncured bacon, sharp cheddar cheese, and diced potatoes. - Ultimate - Sausage, mild cheddar cheese, onions, green and red peppers, and diced potatoes. - Rustic - Turkey Sausage, mozzarella cheese, mushrooms, onions, red peppers, and diced potatoes. The idea here is you can quickly fix yourself breakfast with very little prep or time and with minimal clean-up. 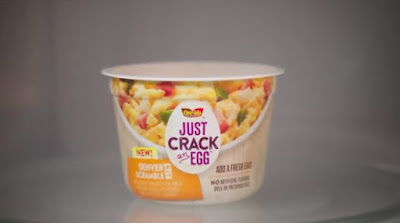 You can find Just Crack an Egg in the egg section of grocery stores nationwide for a suggested price of $2.49 per cup.